Elizabeth joined the AOM board in 2009, first as a Member at Large, then Vice- President and, since 2016, as President. 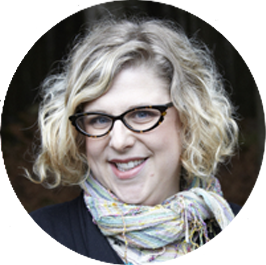 Elizabeth is a midwife and senior partner at the Midwives Collective of Toronto and has privileges at Toronto’s Mount Sinai Hospital and the Toronto Birth Centre. She is a graduate of the Midwifery Education Program at Ryerson University and has a Masters of Science in Community Health from University of Toronto. She is a clinical preceptor and has been a part-time instructor at Ryerson University and an AOM ESW instructor. In addition to serving on the board, Elizabeth has chaired the AOM Policy, Leadership Development and Negotiations Committees. She has extensive experience in government relations, having sat on several joint committees with the Ministry of Health and Long-Term Care. She is the Ontario representative of the Board of the Canadian Association of Midwives (CAM) and the CAM representative for the College of Family Physicians of Canada Maternal Newborn Committee. Elizabeth has a passion for midwifery advocacy and strengthening midwives’ integration into the health-care system as well as clinical education. Both her clinical practice and board-level work are dedicated to addressing the needs of underserved populations and to social justice. Her daughter was caught by a midwife in 1994, the first year of regulated midwifery. Rebecca has served on the AOM board since 2012, initially as Member at Large, then as Vice-President since 2015. 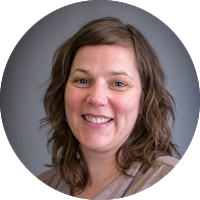 She has been a midwife at Family Midwifery Care of Guelph since graduating from the Midwifery Education Program in 2004 where she enjoys a mix of urban and rural practice. 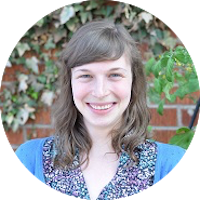 Rebecca is a member of the Audit Committee and has served on the AOM Negotiations Committee. She was a member of the Negotiations Team which secured the 2017 – 2019 Funding Agreement with the MOHLTC. Before becoming a midwife, Rebecca completed a degree in Biology and Indigenous Studies at Trent University and worked as a park naturalist, outdoor educator and for the Ministry of Natural Resources. She is passionate about providing high-quality care and advancing the equity and sustainability of the midwifery profession. Genia joined the AOM board in 2012 as East Regional Coordinator, and was elected as Secretary in 2017. She is a midwife at Generations Midwifery Care in Brockville, with satellite clinics in Kemptville and Smiths Falls. She has privileges at Brockville General Hospital and at the Ottawa Birth and Wellness Centre. Genia is the chair of the Clinical Practice Guidelines (CPG) Committee and has been a contributing author on two CPG work groups. Other AOM service has included sitting on the Negotiations Committee, the Work Life Balance Committee (dissolved) and the Genetic Screening Task Force (dissolved). She is the chair of the Champlain Maternal Newborn Regional Program Midwifery Community of Practice. Genia enjoys running the Generations Midwifery blog and social media platforms, focusing on local campaigns that promote midwifery services in the community. Genia lives in Brockville with her partner and two sons. 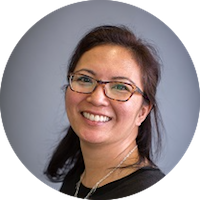 Before becoming AOM Treasurer in 2017, Jasmin was the South East Regional Coordinator for four years. She is a midwife at Sages-Femmes Rouge Valley Midwives, a large and busy practice serving Scarborough, Ajax, Pickering and Whitby. She has served as chair of the AOM Hospital Integration Committee. Her primary goal as Treasurer is to help maintain the fiscal health of the AOM so that it can continue to be a strong and stable resource for midwives. Jasmin is committed to social justice and equity principles alongside clinical excellence and to ensuring Ontario midwifery remains vital and empowered. She provides midwifery care in English, Spanish and French, with a bit of her native Tagalog thrown in. She has a personal passion for creating art trading cards. Originally serving on the AOM board in the 1990s as South Regional Coordinator, Sarilyn came back to serve again in 2016. Sarilyn began practicing in 1996 and has witnessed the AOM grow into the active and dynamic organization that it is today. Sarilyn practices at The Midwives’ Clinic of East York-Don Mills and has privileges at Michael Garron Hospital as well as the Toronto Birth Centre. Sarilyn is a clinical preceptor and has taught at Ryerson University and in Texas at Maternidad la Luz. Sarilyn recently has been involved in collaborative projects with the Canadian Association of Midwives in Tanzania and South Sudan. She has served on numerous AOM committees and work groups, including the Emergency Skill Workshop Committee and the CPG Committee. 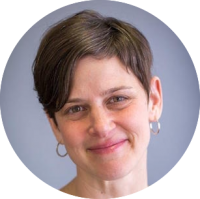 She brings to the AOM board a voice of experience and a passion for being a strong advocate for normal birth. Sarilyn has three children and recently joyfully caught her first grandchild. Sarilyn is an artist and musician and continues to use her creative talents to support and promote midwifery. 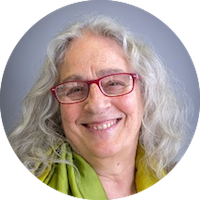 Carol is a new addition on the AOM board, having been elected in 2017. She is a midwife at K’Tigaaning Midwives in her home community of Nipissing First Nation, near North Bay, with a satellite clinic in Powassan. 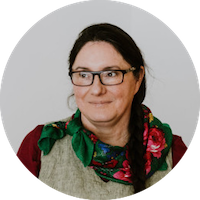 Carol’s particular interest is to support and advance the board’s strategic goal around restoring birth to Indigenous communities. Enthusiastic about association-level work, she is a founding member of the National Aboriginal Council of Midwives (NACM). She has served as a board member for women’s shelters, the College of Midwives of Manitoba, the Canadian Association of Midwives, and is an elder member of the core leaders of NACM. Carol has co-chaired the Society of Obstetricians and Gynecologists of Canada’s (SOGC) Aboriginal Women’s Health Committee and helped write the SOGC recommendations on returning birth to rural and remote Aboriginal communities, as well as recommendations for rural and remote maternity care. Carol is passionate about being a good midwife and a traditional teacher. She has a strong family tradition of midwifery (including a great-grandmother and a niece), and Carol is extremely proud to share her practice with her daughter, Rachel Dennis. Liz Fraser graduated from the Midwifery Education Program in 2014 and joined the AOM board in 2017 as the East Regional Coordinator. She practices at the Midwifery Collective of Ottawa and has privileges at the Ottawa Hospital and the Ottawa Birth and Wellness Centre. She is an active participant in community-based research, has sat on interprofessional hospital and community based committees, worked on interprofessional education initiatives, and engages regularly with her midwifery colleagues as part of the Champlain Maternal Newborn Regional Program Midwifery Community of Practice. Liz believes in honouring birth as a life-changing moment, however and wherever it happens, and in promoting the strength and power of pregnant people through respecting choice and autonomy in pregnancy and birth. Liz is a new parent, and loves spending time with her partner and baby in the outdoors, no matter the season. Simone was elected to the AOM board in 2017 as the South Central Regional Coordinator and has been practicing midwifery since 2014. She practices at The Midwives’ Clinic of East York-Don Mills and has privileges at the Toronto Birth Centre and Michael Garron Hospital, where she is part of a committee to make the birth unit LGBTQ inclusive. 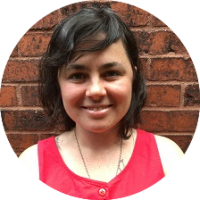 Simone has a background in grassroots social justice work and community organizing. She has served on the Canadian Association of Midwives (CAM)’s Reproductive Health Statement Working Group, as well as the CAM Peer-to-Peer Twinning Program in South Sudan. Simone has published in the Canadian Journal of Midwifery Research and Practice. She is excited to bring a new perspective to the board and is passionate about gender inclusivity and expanding midwifery services in Ontario. Mandy graduated from the Ryerson Midwifery Program in 2010. She currently practices at Countryside Midwifery Services in rural Perth County and previously practiced in urban Toronto. 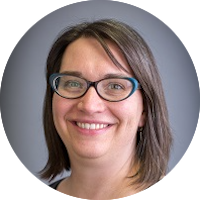 Mandy has served on the Provincial Council of Maternal and Child Health; Maternal Child Screening Committee and currently serves on the Newborn Screen Ontario Advisory Council. Locally, she is a member of the Maternal/Child Committee at one of her local hospitals as well as a previous member of the Perth Breastfeeding Group. In 2017, she worked as a consultant for the Canadian Association of Midwives, Midwives Save Lives Program in Ethiopia. Mandy is also proud to be a midwifery preceptor to students at all levels of the Midwifery Education Program, International Midwifery Pre-Registration Program and high school co-op students. Before becoming a midwife, Mandy completed a BSc in Biology and Theatre and became a DONA certified birth and postpartum doula. Mandy is passionate about informed choice for pregnant people and promoting the midwifery profession through inter-professional collaboration. Mandy is proud to be the mother two beautiful children, both caught by midwives at home and hospital. Melodie is an Honours graduate from the Aboriginal Midwifery Training Program at Tsi Non:we Ionnakeratstha Ona:grahsta’ in Six Nations of the Grand River Territory. Melodie has evolved in her love of midwifery - once a client of the Six Nations Maternal and Child Centre, she returned to her home community in Six Nations as an Aboriginal Midwife from 2013 to 2018. Melodie is currently working in the Oneida / Chippewa territories near London, Ontario under the Exemption Clause aiming to provide a culturally safe, fully Indigenous approach to midwifery that ensures acknowledgement of traditional rites of the families she services. She believes that all families have the right to choice, respect, and honouring of beliefs in their journey to parenthood. 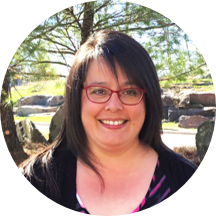 Melodie also serves on AOM committees including the Indigenous Midwifery Advisory Circle, and is a member of the National Aboriginal Council of Midwives. She is committed to serving the needs of the Indigenous populations in her area and is a strong supporter of returning inherent Indigenous birth rights to their communities. During her spare time, Melodie enjoys beading, motorcycles, and spending time in her kitchen. Bounmy is a 2015 graduate from the McMaster Midwifery Education Program. She comes to the AOM Board as a new member in 2018. Much of what shapes Bounmy today has evolved from a young age as a first-generation Lao refugee discovering the inequalities of being a woman. 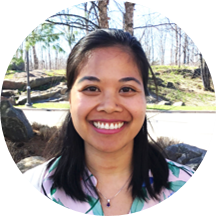 As a midwife, Bounmy seeks to provide an individualized approach to care that ensures a safe and supportive environment that empowers clients and their families. She believes that all people have the right to dignified and respectful care regardless of cultural, social or economic circumstances. Bounmy is grateful for all the midwives she has worked alongside and the many families that she has cared for in Windsor-Essex County, Waterloo Region and Peterborough. Prior to midwifery, Bounmy completed her joint Bachelor of Science in Biology and Geography from the University of Waterloo. During her spare time, Bounmy enjoys testing her culinary pallet, back country camping and making desserts for family and friends.